So we made a report. Maybe not that good of one, but it is better than chasing one. If you were to back out of this report-making trip, you’d probably think to yourself, ‘G­­lad I didn’t follow those jokers’. And that’s fine, one less person to share the water with. 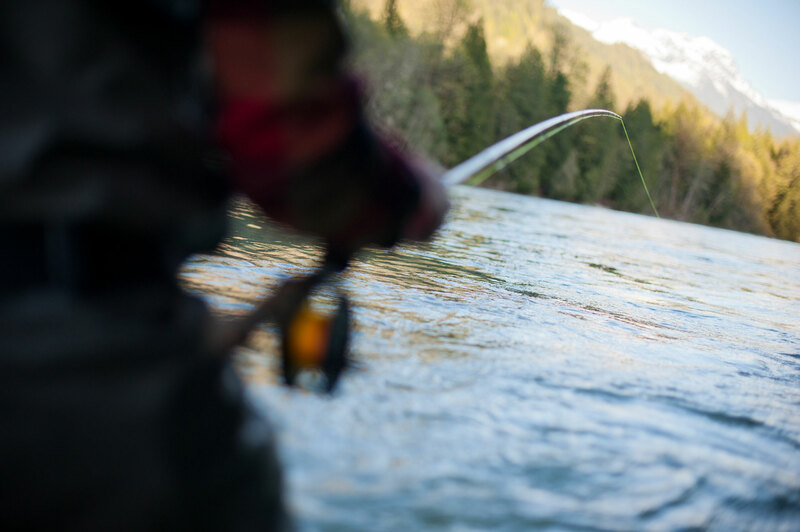 It is fishing and I’m selfish, but I’m never lonely on the water. Having learned to live with a certain lack of control, we prepare ourselves for success but do not expect it. The most important thing is that we go and do. Warm weather melted a bunch of early snow. 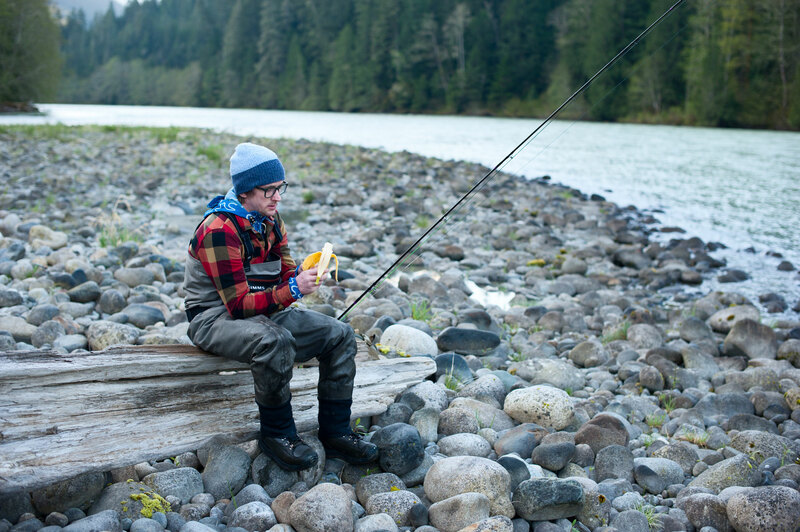 The river was huge, higher than Evan had seen in years past. It was off color, too. The glacial grey-green pastel matte of the water would match the old vehicles we’d find, decomposing into the earth. I had caught trout in dirtier snow-melted trout streams, but there was a lot more trout in those streams than salmon in this torrent. We found a few char and were happy to see them, but no ponies, no Chinook, no Clydesdales. 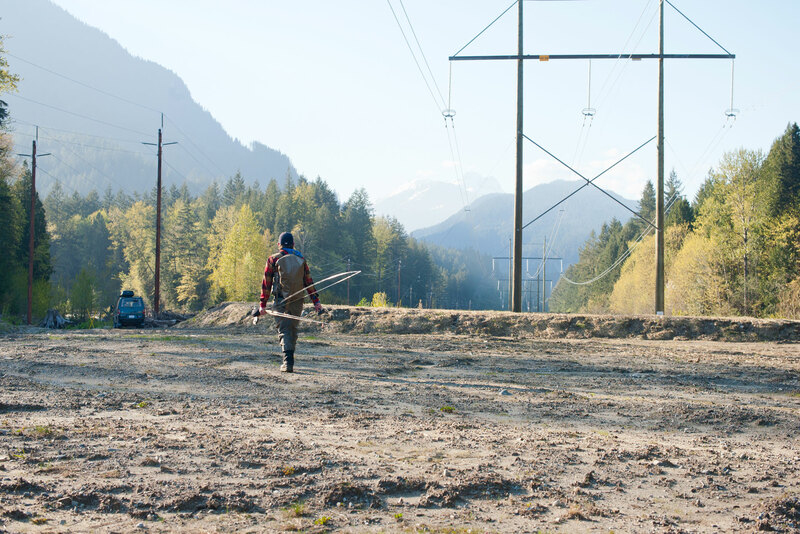 Instead of pony roping, we bushwhack professionally. We machete through briar and moss-covered forest, making our own trails. We drink cold beers and drive dirt roads and dodge trucks spilling freshly cut timber. We look for dry firewood and burn it and soak tired muscles in hot springs We rise before the sun and swing the greasiest water we can find. We invent word problems that mimic our days and associate words like the gibberish that runs through our heads. 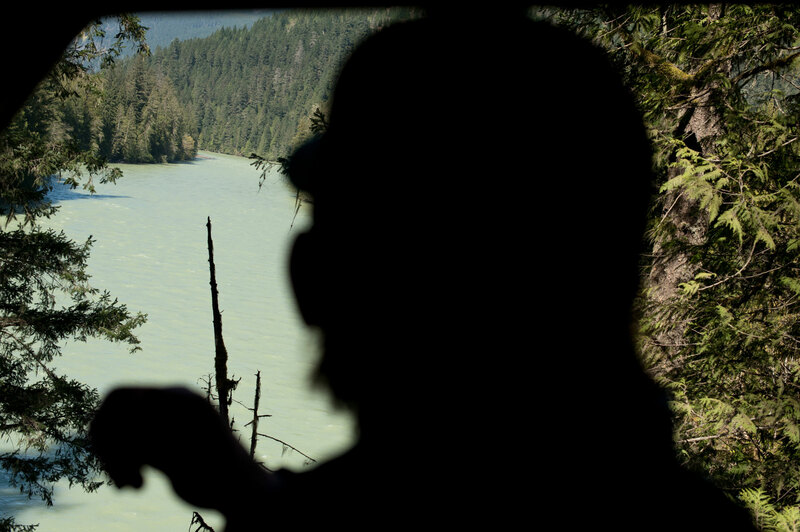 We stare down the opposite bank and hope and wonder about the water our flies swim in. 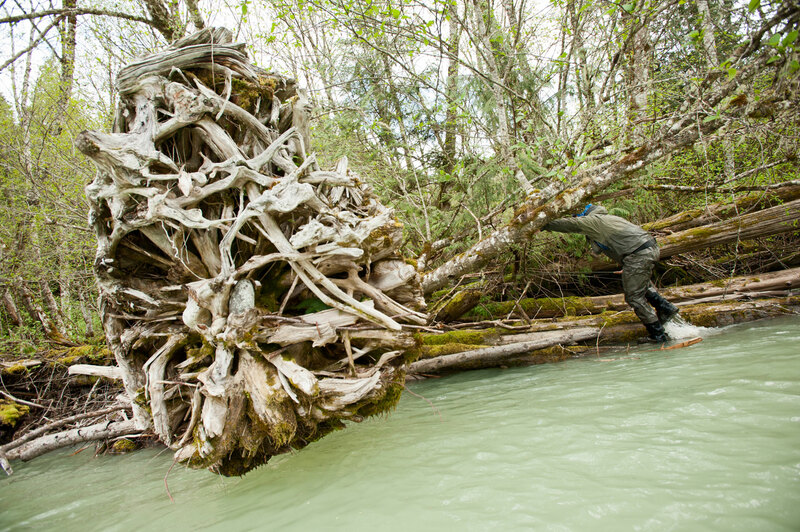 We eat bananas on the riverbank; watch one salmonfly hatch from its exoskeleton and on our last full day, in a logjam we find a bottle stuffed with a 16 year-old message. 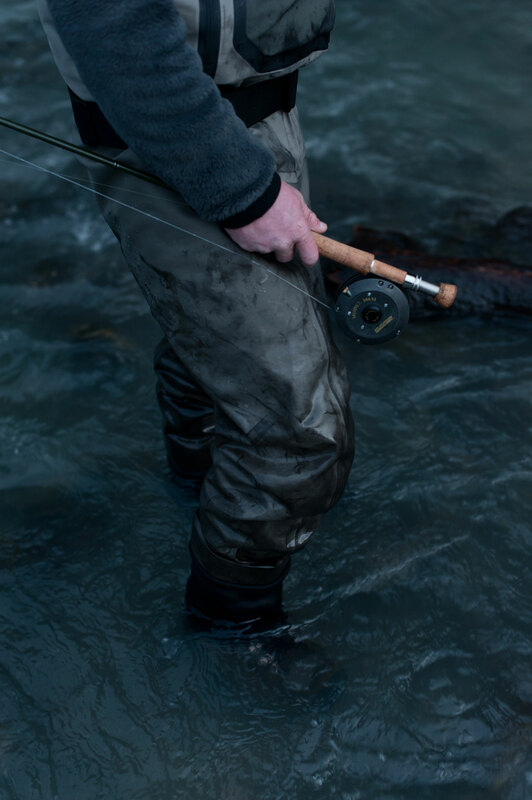 Even if the fishing was good, even if we’d both hooked into fresh, bright, fat chinook, and maybe even landed one, it is the non-fishing, the things in the peripheral that write the best report. 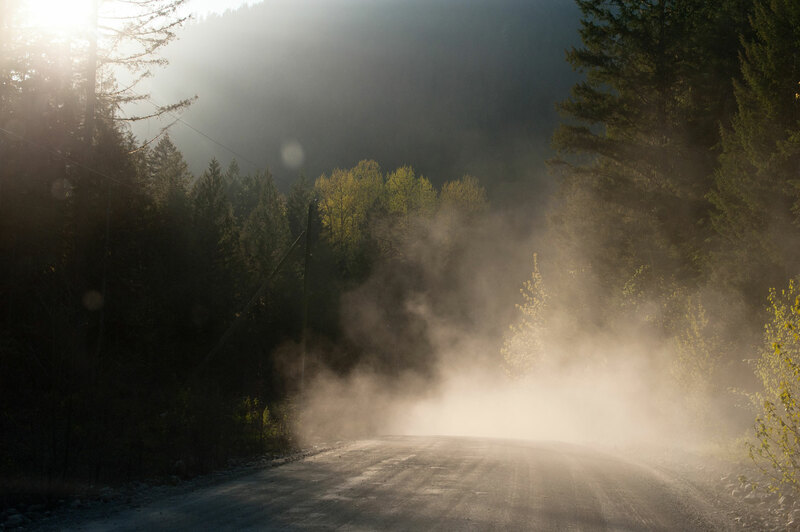 ABOVE Big rigs stacked with freshly felled timber barreling down British Columbia’s dirt roads and around blind curves are a surprise to sun burnt and fishless anglers, but with the proper afternoon light, they generate cool dust clouds. ABOVE Evan Slater peeks through the trees to the far side of the river and the juiciest run in the area—the one we were too chickened to attempt to reach. ABOVE During a river-side bushwhack, we happened upon an old homestead with wooden shelters and shacks being taken back by the land. 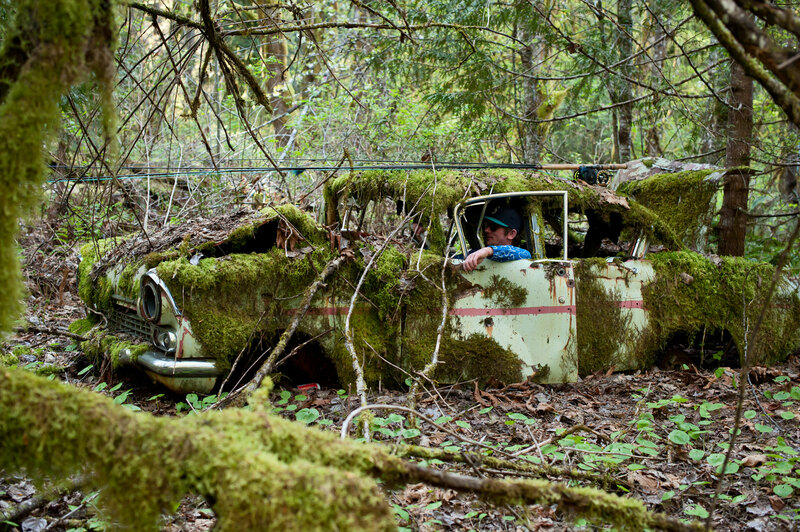 There were several old cars covered in moss and I was able to talk Evan into hopping in the driver’s seat for a photo. ABOVE Thanks to a recent heat wave, the river was high and off color. 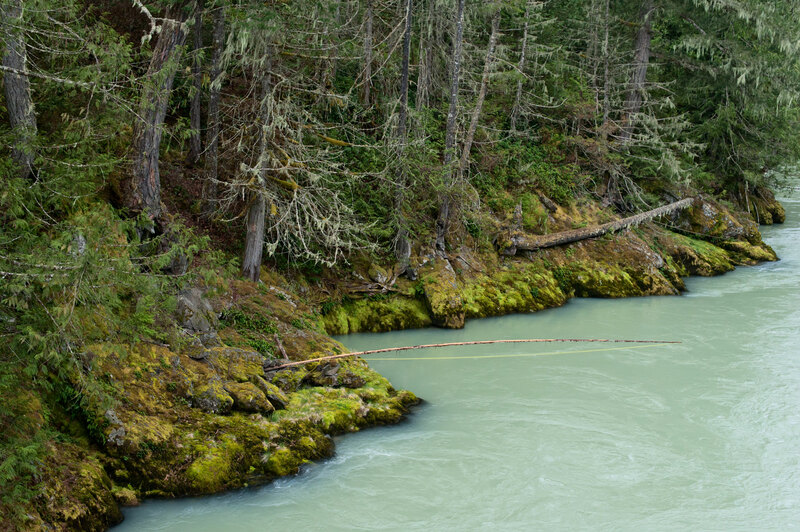 The conditions didn’t compel us to pull the plug, they just made the access trickier. A few moments of careful scouting and inspired guesswork can sometimes pay off. ABOVE Swift, cold glacial waters race past tribal fishing grounds. We would have loved to witness them in use, but they sat unused—another sign that we were too early to intercept the ponies. 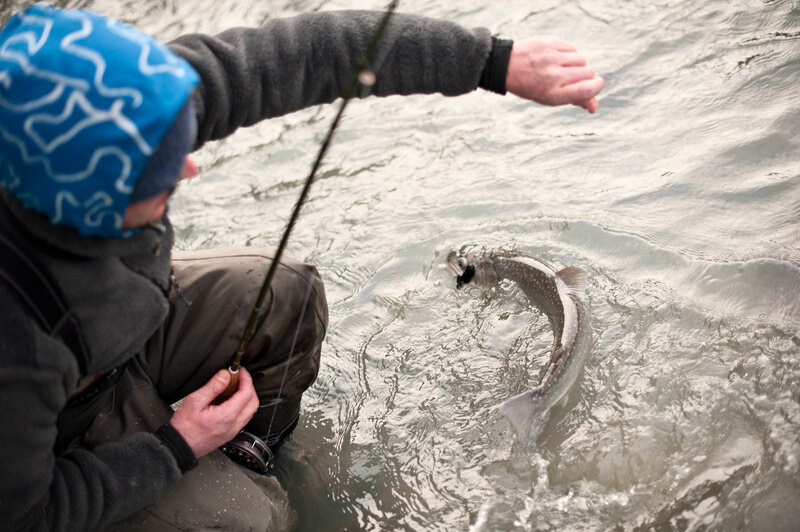 ABOVE Wading doesn’t kill anglers, rootwads do. Evan steps out of the river after getting turned around by a trough that was too deep to wade. 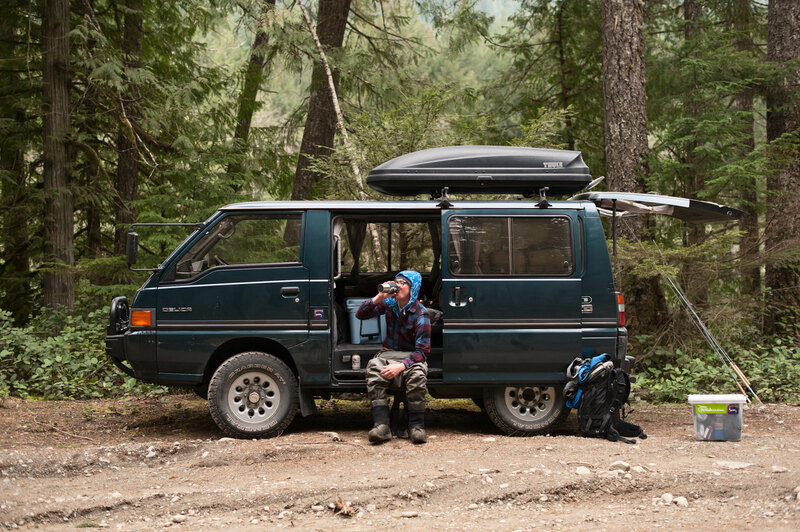 A 1989 Mitsubishi Delica carrying two dudes leaves the USA traveling north at an average speed of 80 kilometers per hour at 8:30 a.m. on a Saturday with 36 beers, one bottle of wine and a full flask of whiskey. The two catch no fish on Sunday, five bull trout on Monday, bushwhack two miles each day, eat 64 potato chips and four pb&j’s and soak in one hot spring. How many beers are left in the cooler on Tuesday morning and at what time did they arrive home? ABOVE The evening of our first night, we had beautiful sunny weather and managed to find great looking swing water above a feeder creek. 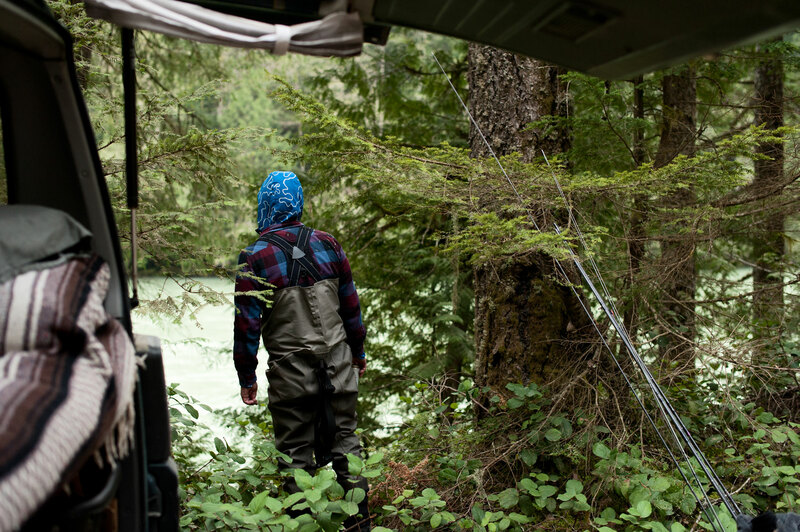 The sun was off the water, our cooler was full and a few days of exploration opened in front of us. 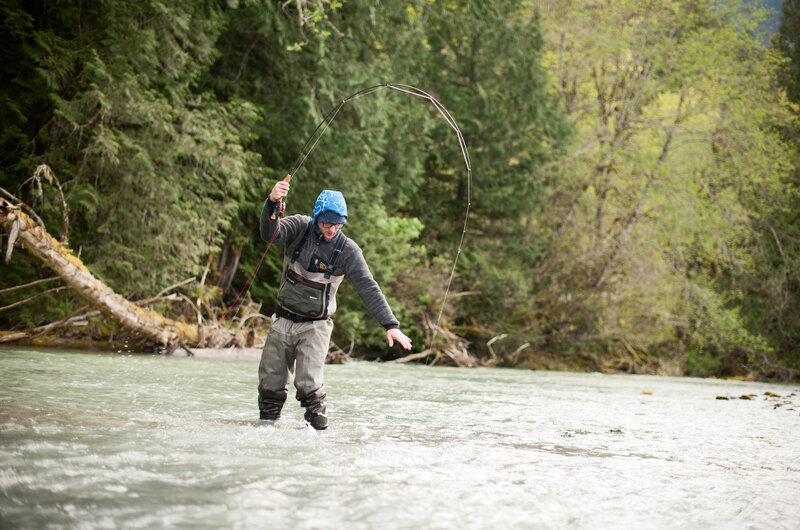 ABOVE Evan lands a nice char from a sweet little trough out of the main current where we were treated to a fast and furious evening streamer session. ABOVE While we didn’t find the ponies we were looking for, we did find aggressive char that smashed streamers as soon as they hit the water—always a good time on light, single-handers. ABOVE In retrospect, maybe the bananas were a bad idea. Maybe ponies don’t like bananas. Maybe we should have brought carrots. ABOVE On the last evening of the trip, Evan looks for one last opportunity to rope a pony. Maybe next year…. ABOVE While the ponies don’t care too much for salmonflies, I dropped everything when I saw this guy float past. 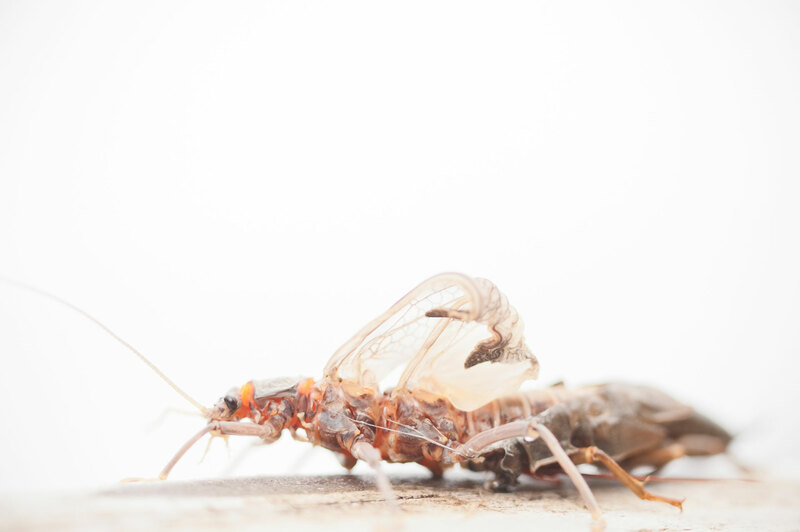 He was half out of his shuck and I set him on a log and watched him wiggle his way out, dry his wings and disappear into the cracks of the driftwood.. 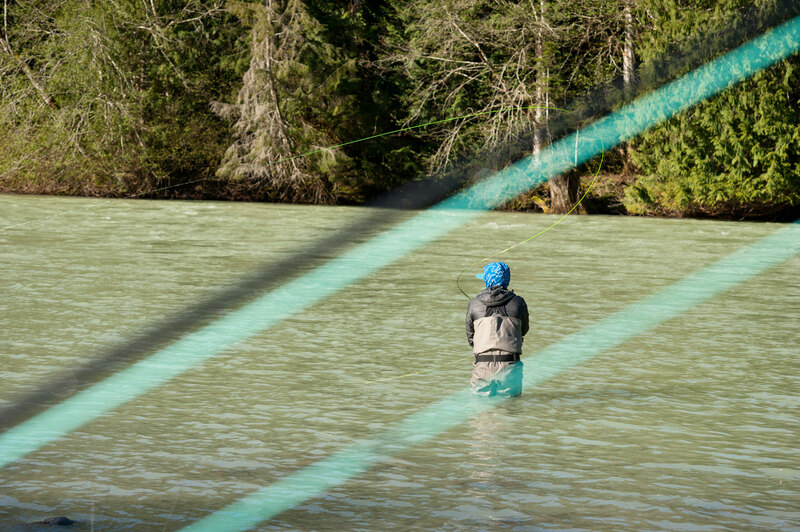 ABOVE After a cast and a mend, the line slowly tightens and you visualize your fly swimming underwater. 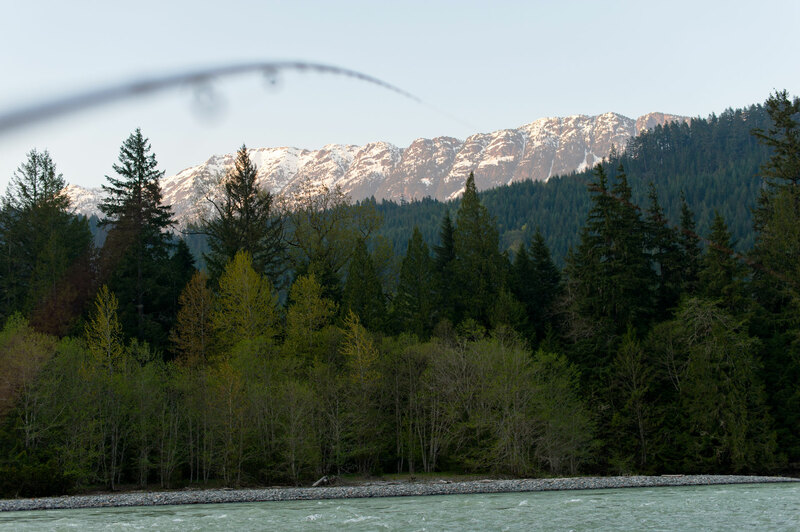 What you don’t have to visualize is the sun slowly sliding off the rocky ridge high above you and the bend in your fly rod from the weight of your sink tip. ABOVE Because of its easy access, this was our go-to morning run. In the afternoons it was a return to our daily death-march bushwhacks through uncharted territory. 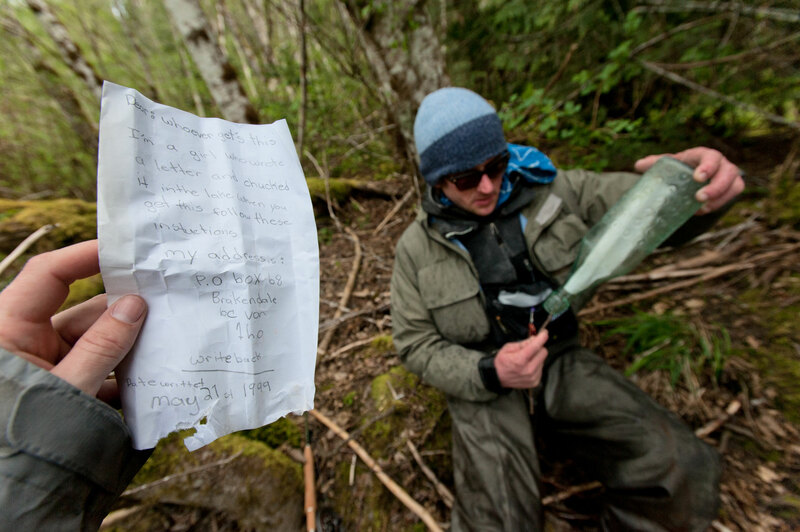 ABOVE Evan extracts a 16-year-old message in a bottle, found in a large riverside logjam. The creepy part was the drawings of a Bert and Ernie looking character with a gun to its head that were stuffed in the bottle as well. Oh, Canada. 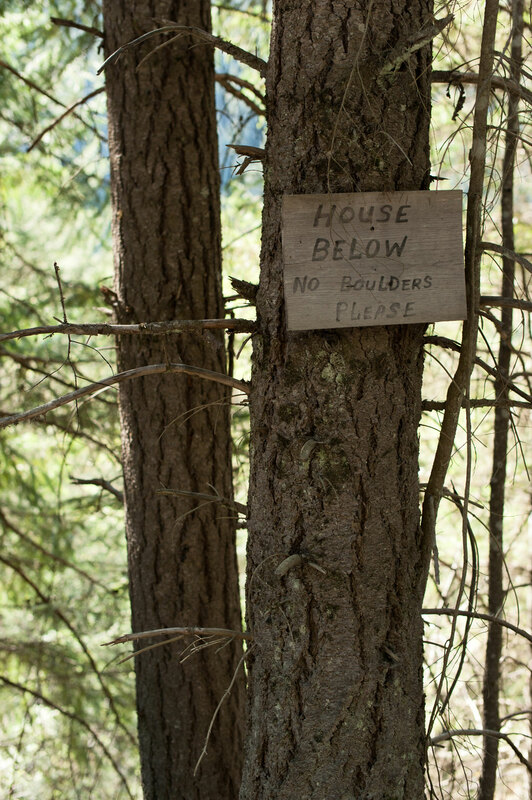 ABOVE What looks like a relatively short distance on a map can quickly turn into an unending, exhausting bushwhack. We were glad to see the van after a sticky afternoon session. ABOVE Evan’s trusty 1989 Mitsubishi Delica was pressed into service as international transport and bunk for one. Since it features a right-hand driver’s seat, the passenger gets to do all the talking when crossing the border. Officer Jacobs told me, “Well, you made it, I kinda had my doubts about you,” as he let us back into the United States.